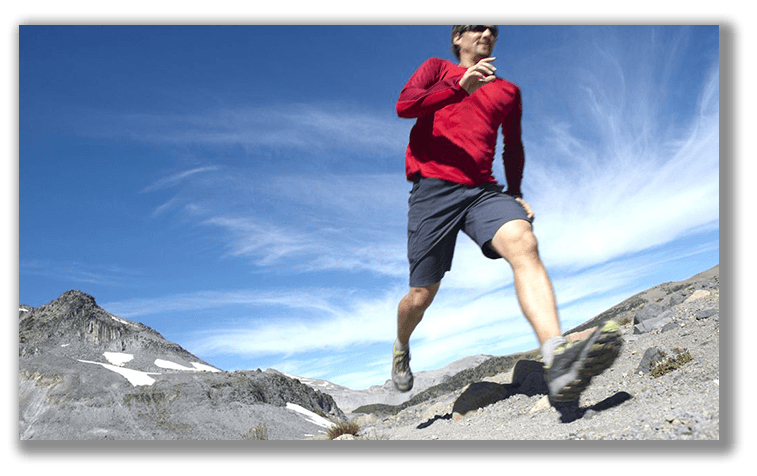 How do I train for the High Altitude climb? The biggest challenge that most trekkers face on their Kilimanjaro climb is acclimating to the thinner air that they encounter while at altitude. No matter how fit, determined, and prepared you are, altitude is the great equalizer when it comes to determining who reaches the summit and who has to turn back. In fact, altitude sickness is probably the single biggest reason why most people don’t make it to the top, and unfortunately there is no real way to determine who will get sick and who will have no problems at all. That said, there are a few things you can do to help prepare for trekking at higher altitudes even before you arrive on the mountain. Living and training at altitude will greatly increase your bodies ability to adjust to the thinner air while on Kilimanjaro. If you happen to live at a place that is located at a significant altitude, your body will adjust to the lack of oxygen much more quickly and easily. Those who are accustomed to living in the mountains will find hiking to be less stressful and taxing then those who live at sea level. But what about those of us who don’t live at altitude? If you are close enough to the mountains where you can train or hike there prior to leaving for Africa, you’ll get a better sense of how your body will react as you go higher on Mount Kilimanjaro. This will help cut down on the surprises and give your body a chance to experience the thinner air. Scheduling an overnight camping trip or two in the mountains before embarking on the trek could prove very informative too, helping you to understand what it feels like to extort yourself in thinner air. If you simply don’t have access to high altitude destinations to train in before hand, don’t worry. Plenty of people who live at lower altitude successfully climb Kilimanjaro on a regular basis. Before your departure to Tanzania, be sure to keep up your workout routine and go “pole, pole” (slowly, slowly) on the mountain. To increase your chances of acclimating to the altitude, be sure to arrive in Tanzania a day or two early. This will help your body to adjust to the time change and gives you the chance to recover from long days of travel just to get to the start of your journey. If you’re well rested, you’ll feel much better and your body will be more efficient too. This won’t necessarily ensure that you don’t get altitude sickness, but you’ll get the trek off to a good start. Stay Hydrated: When hiking at higher altitudes your body tends to dehydrate quickly. Be sure to drink plenty of fluids before, during, and after each day of hiking. This can help fend off altitude sickness, particularly as the days go by. Keep Eating Too: You’ll burn a lot of calories while trekking each day and it is important to keep eating to replace the fuel you’re using. This is made more difficult by the fact that most people lose their appetite as they go higher, but it is important to continue eating. Bringing tasty snacks to eat while on the trail can make the process easier. Diamox: Many mountaineers and high altitude trekkers use a prescription medication called Diamox to help them avoid altitude sickness. While not required for a climb up Kili, the drug can help the body to adjust to the thinning air, increasing the chances of reaching the summit.